We have seen lists about planters this past few days and I personally wanted to end my weekend with one! 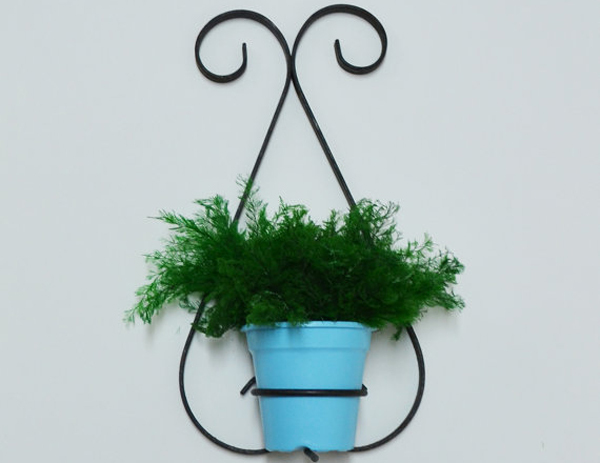 I have created a list about 20 Interesting and Beautiful Wall Hung Planters that not only looks great but really functional as well. 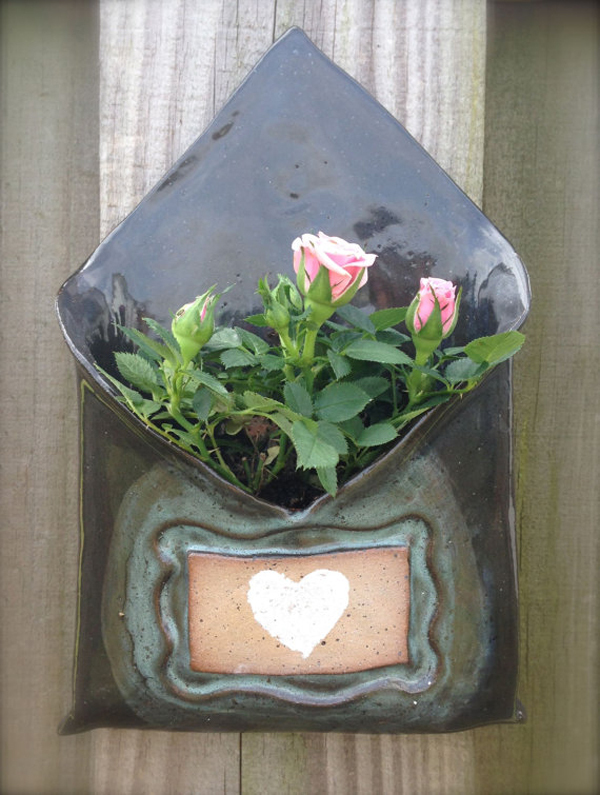 If you wanted to put some love outside your door or even indoors, these planters will surely make your place brighter. Take a look at the list below and tell me what you think about them! They are incredible pieces of artwork you simply cannot resist! 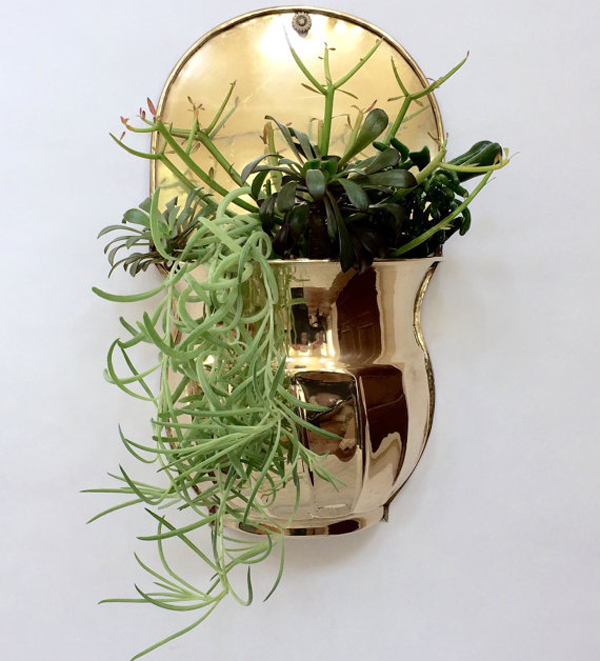 I mean, I’m not really into plants but looking at how pretty these planters are makes me want to actually get one. The colors of these planters are neat, the designs are unique and the materials are really cool. Take a look. 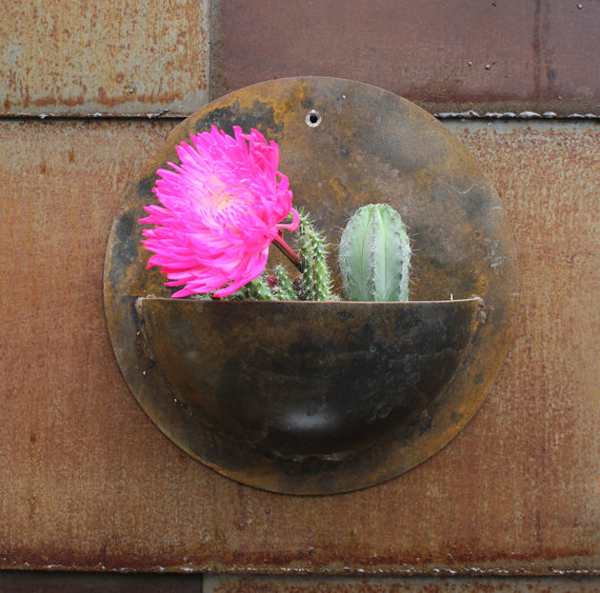 The patina of this apse wall planter made it more interesting and actually beautiful. 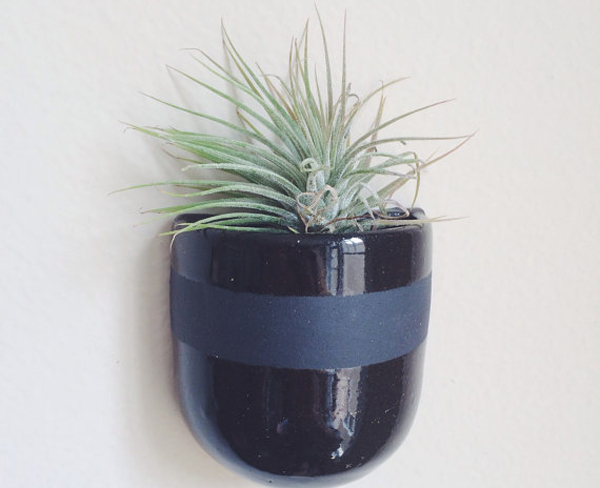 This shiny ceramic wall planter sure looks like the sky at night. 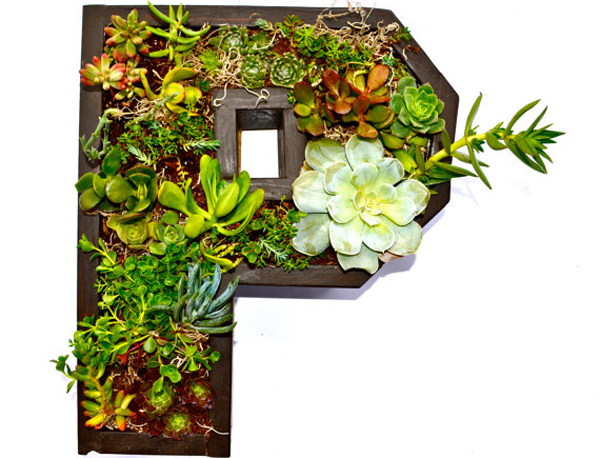 This stunning wall planter will surely add glam and pizzazz to your place. This sure is shiny, really round and really pretty. What do you think? 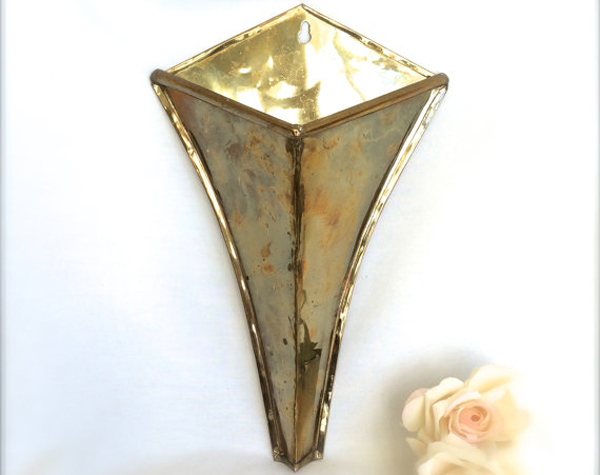 Here is another vintage wall planter that I particularly like in this list! 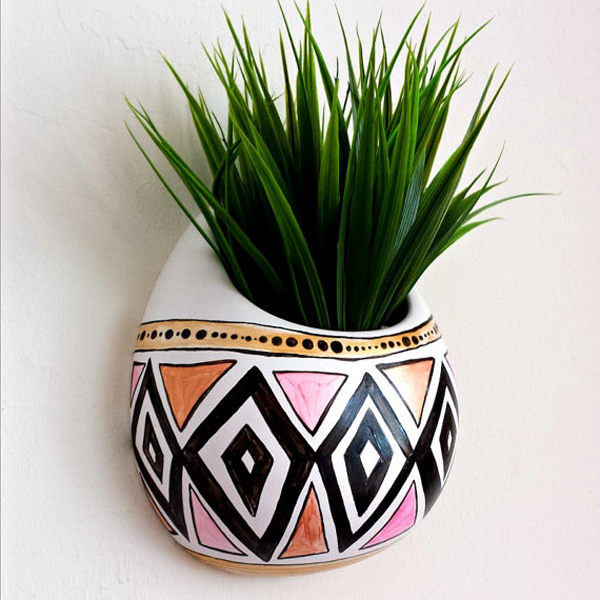 A white ceramic wall planter which is accented with these small lines – it makes one white wall monochromatic but still pretty. 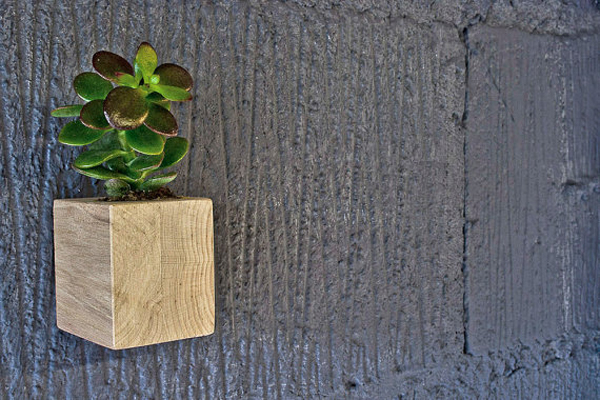 This wall planter design is common but still pretty in its own way! I like how the heart in the middle of the planter has the same color with the roses! 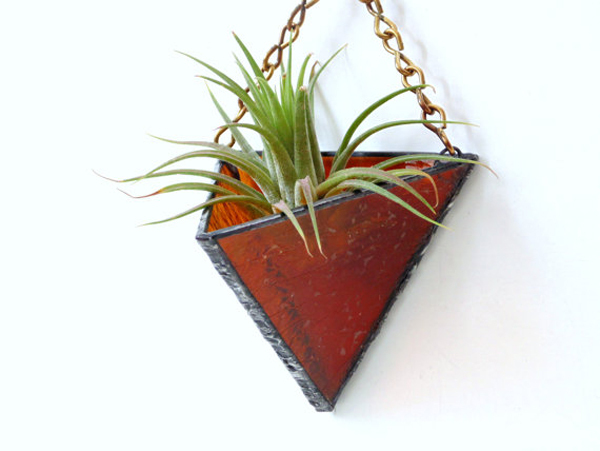 If you have stained glass at home that you can recycle, making one like this can be easy with the help of a handy man! This might seem creepy at first but it really adds character to your space! WickedClayGirl even has a ton of choices for you to choose from! 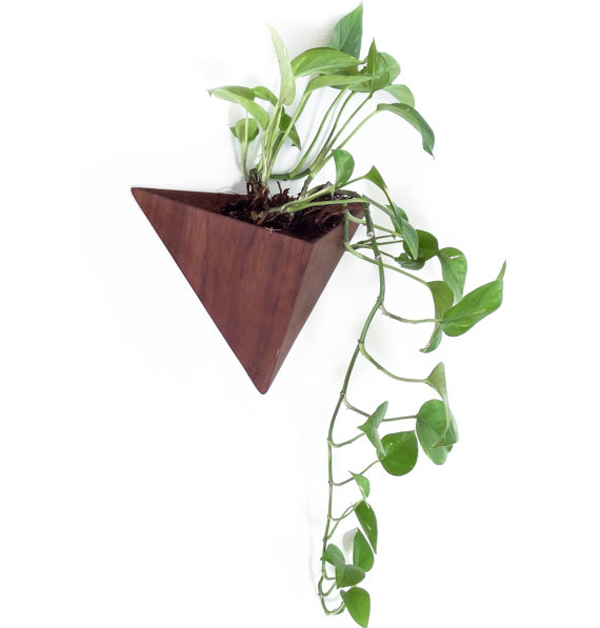 Another triangular planter that is pretty – only this time it is made from wood. 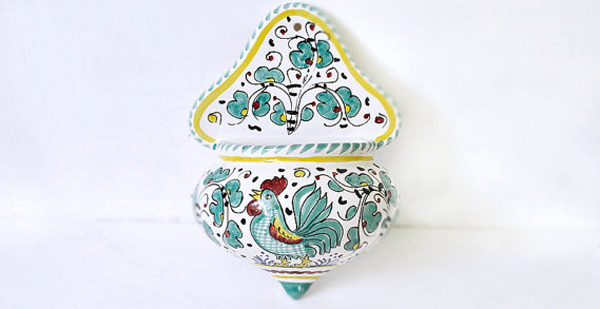 Look at how cute this Italian planter! I want a couple of this at home! 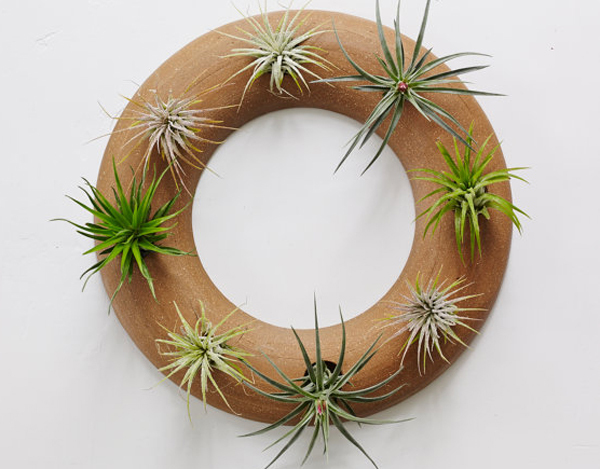 Who said that wreaths are only for the holidays? This one is special and really unique! 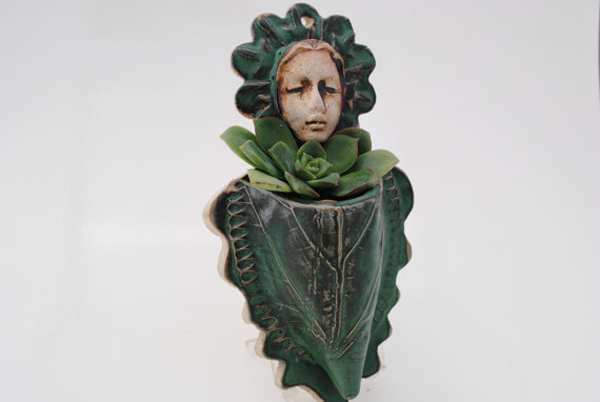 The detail on this planter is really pretty and is quite fun and funky! 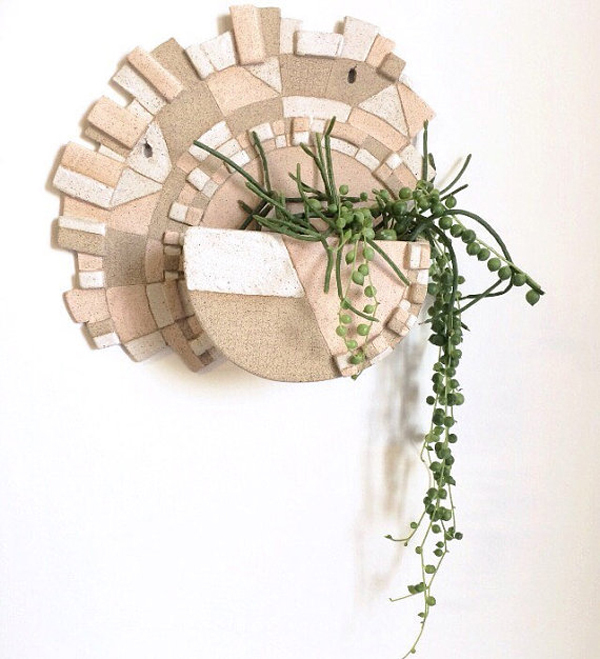 How this planter was connected to the hollow blocks actually made this wall prettier. You can actually have this done in a specific letter that you would want! 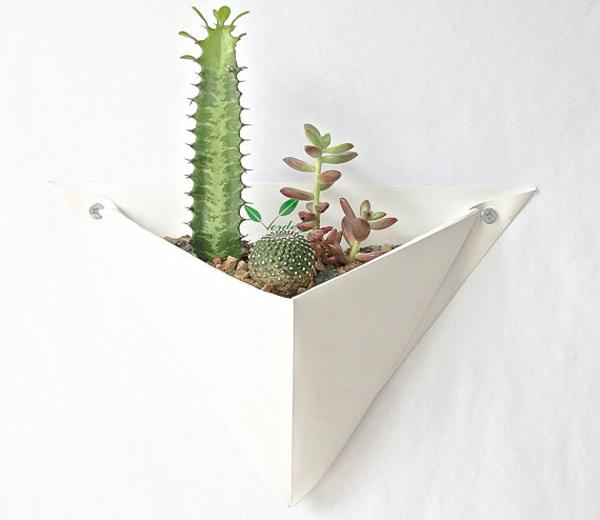 VerdeVeil sure made a wonderful sort-of-DIY planter that you can either order or make yourself! 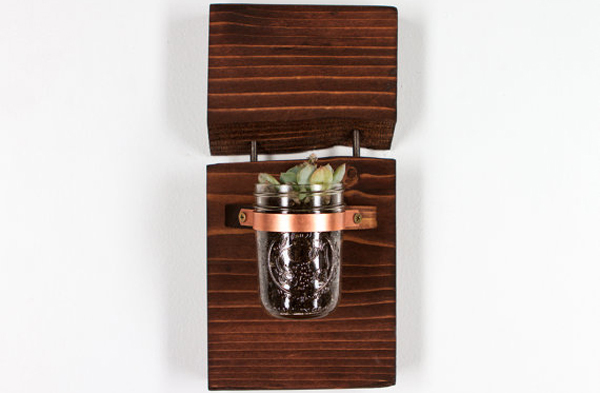 This mason jar connected to the wood is indeed cute; it looks expensive too! 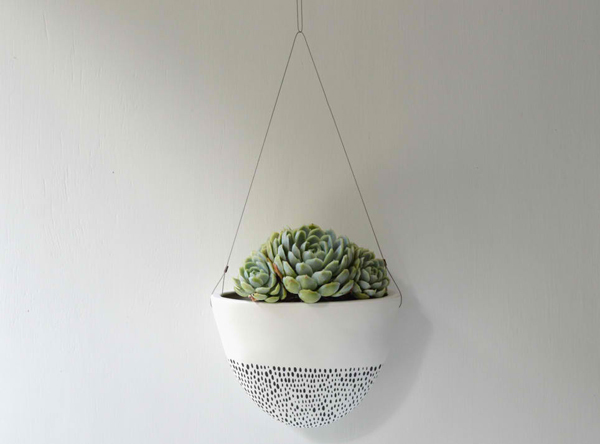 This is one simple but pretty ceramic wall hung planter! 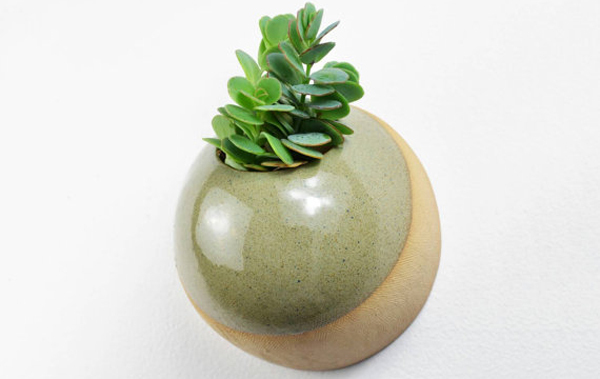 Now, this one stunning ceramic wall planter in stone finish! The color pink and white sure makes it prettier – I mean, it’s made of stone finish! There you have it guys, a list of pure wondrous things that can make any room prettier, livelier and somehow homey for the most part! This list of the 20 Interesting and Beautiful Wall Hung Planters is something nice I think that I would want to see as my weekend starts! 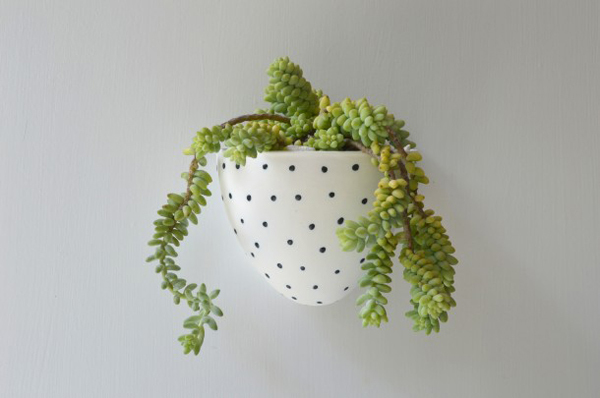 Aside from this list, you can also check out the 20 Designs of Cute Ceramic Planters and discover the designers and manufacturers that made these beautiful things!